This beautiful hand crafted bass wood easel and tablet holder is a must have in any kitchen. 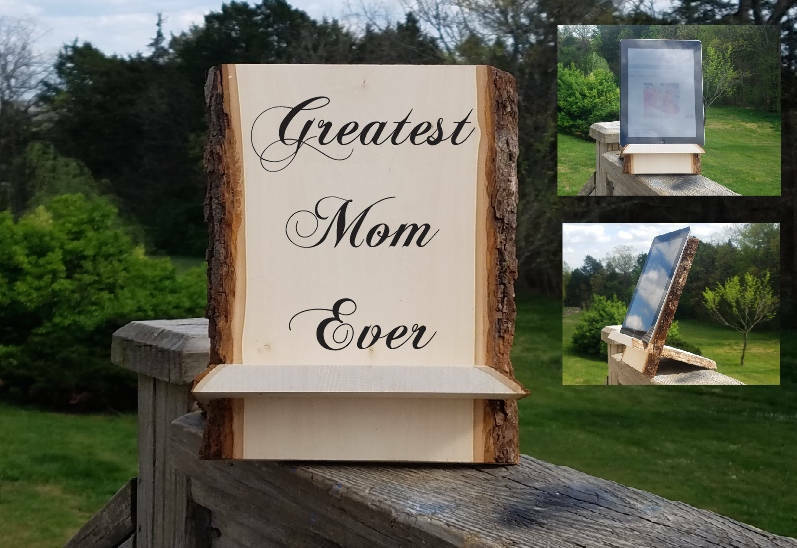 It is absolutely awesome and it will make the perfect Mother's Day, Birthday, Holiday, Anniversary Gift for your beloved wife, mother, mother in law, sister, sister in law, grandma, niece, aunt anyone on your list. 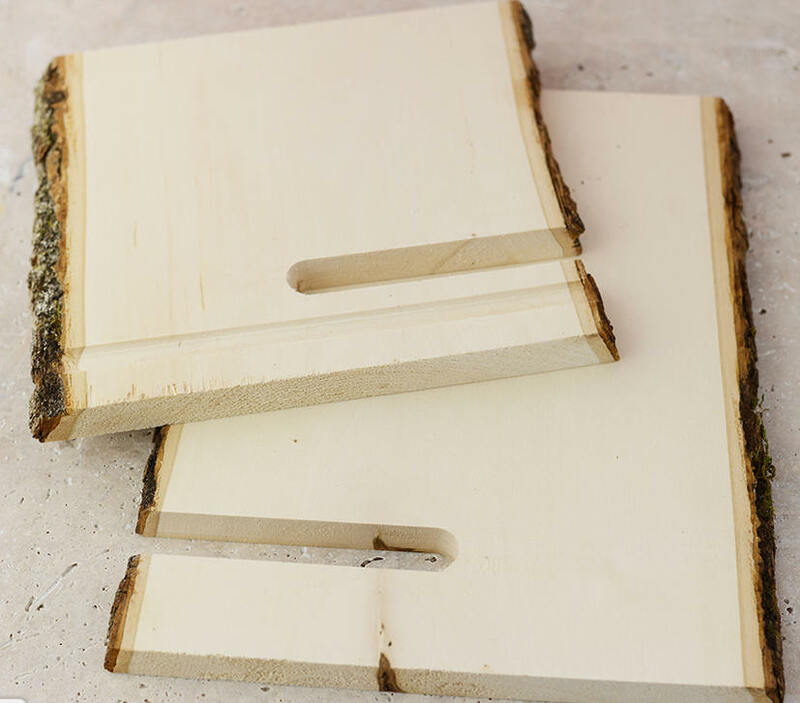 This natural wood bark edged stand comes in two pieces. Just slide them together to make a stand for your tablet, photos, menu's and more. 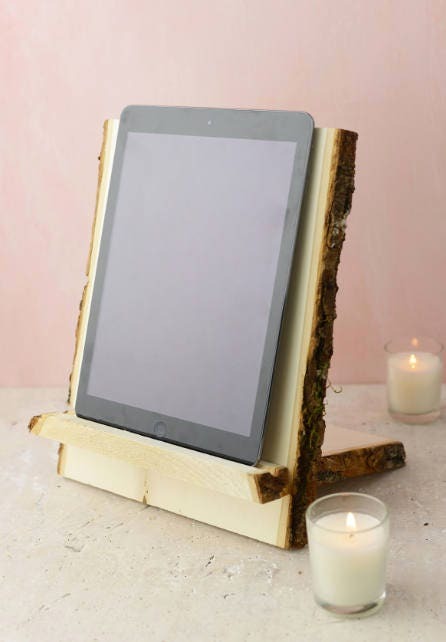 Bark Edge Slide Together Tablet Stand is perfect for rustic event or decor. 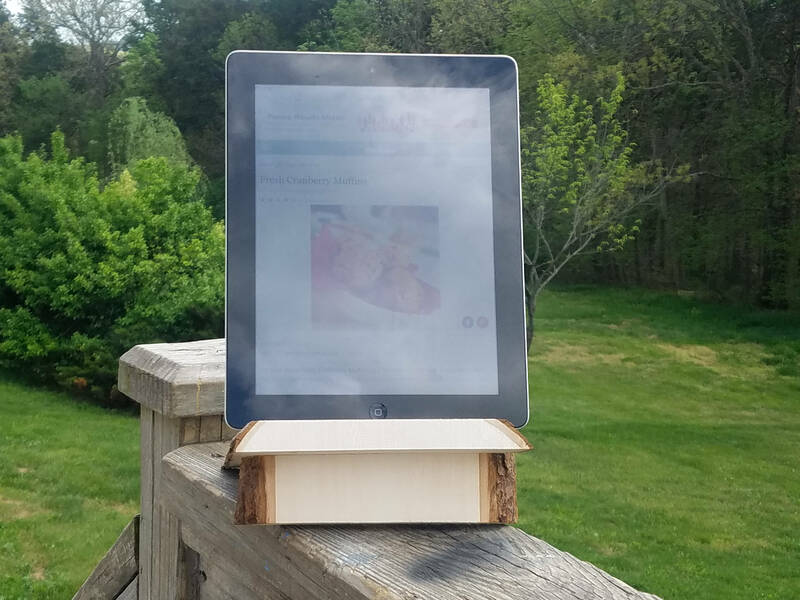 It is ready to use as a tablet stand, cookbook stand, or display photos and art. It is 11" tall x 9" wide. Want it personalized? Let us know the initials, name or quote you would like engraved on it.